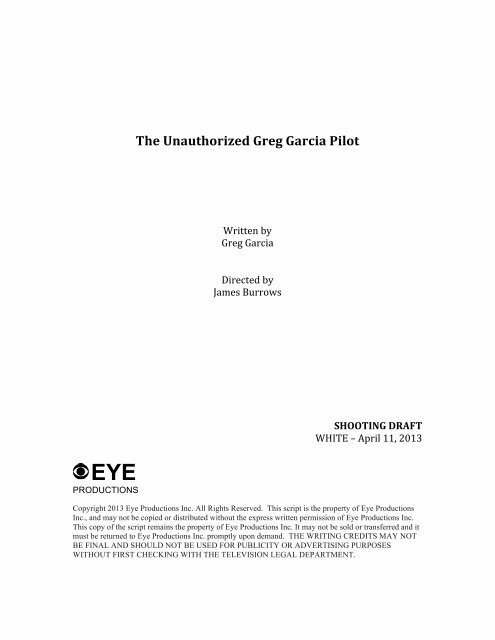 $!!!!The$Unauthorized$Greg$Garcia$Pilot$$$!Written!by!Greg!Garcia!!!Directed!by!James!Burrows!!!$$$SHOOTING$DRAFT$!WHITE!–!April!11,!2013! !EYEPRODUCTIONSCopyright 2013 Eye Productions Inc. All Rights Reserved. This script is the property of Eye ProductionsInc., and may not be copied or distributed without the express written permission of Eye Productions Inc.This copy of the script remains the property of Eye Productions Inc. It may not be sold or transferred and itmust be returned to Eye Productions Inc. promptly upon demand.  THE WRITING CREDITS MAY NOTBE FINAL AND SHOULD NOT BE USED FOR PUBLICITY OR ADVERTISING PURPOSESWITHOUT FIRST CHECKING WITH THE TELEVISION LEGAL DEPARTMENT. Page 2 and 3: Shooting!Draft!(WHITE)! ! 4/11/13! !